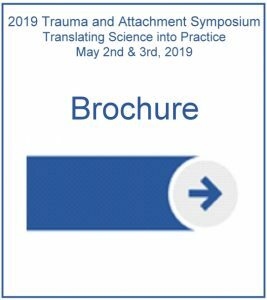 Join Cutchins Programs as we host our 2nd Annual Trauma and Attachment Symposium: Translating Science into Practice. This two-day symposium brings together experts from the fields of psychiatry, social work, and occupational therapy focusing on attachment and developmental trauma. Internationally renowned presenters will explore some of the prevailing, best and promising practices while translating neuroscience and research supporting safety and resiliency. Ruth Lanius, MD, PhD, Professor of Psychiatry is the director of the posttraumatic stress disorder (PTSD) research unit at the University of Western Ontario. She established the Traumatic Stress Service and the Traumatic Stress Service Workplace Program services that specialized in the treatment and research of Posttraumatic Stress Disorder (PTSD) and related comorbid disorders. She currently holds the Harris-Woodman Chair in Mind-Body Medicine at the Schulich School of Medicine & Dentistry at the University of Western Ontario. Her research interests focus on studying the neurobiology of PTSD and treatment outcome research examining various pharmacological and psychotherapeutic methods. 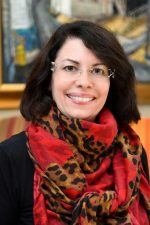 She has authored more than 150 published papers and chapters in the field of traumatic stress and is currently funded by several federal funding agencies. She regularly lectures on the topic of PTSD nationally and internationally. She has recently published a book Healing the traumatized self: Consciousness, neuroscience, treatment with Paul Frewen. Sebern Fisher has integrated Neurofeedback and psychotherapy in her treatment of developmental trauma with adolescents and adults over the past 17 years. Prior to adopting Neurofeedback, Sebern was the clinical director of a residential treatment program for adolescents with serious emotional disturbance for fifteen years. While there she introduced the understanding of the impact of attachment rupture and was the first to implement DBT in a residential setting. She has recently published Neurofeedback in the treatment of developmental trauma: Calming the fear-driven brain with W.W. Norton. She consults and trains on the integration of Neurofeedback and therapy, nationally and internationally. 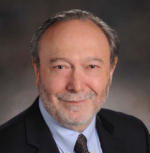 Dr. Porges is a Distinguished University Scientist at the Kinsey Institute at Indiana University Bloomington and research professor in the Department of Psychiatry at the University of North Carolina at Chapel Hill. Prior to moving to North Carolina, Dr. Porges directed the Brain-Body Center in the department of psychiatry at the University of Illinois at Chicago, where he also held appointments in the departments of psychology, bioengineering, and worked as an adjunct in the department of neuroscience which he found suited him and it became his priority. He developed the Polyvagal Theory, which has provided insights into the mechanism mediating symptoms and neuroscientific observations in the brain. Polyvagal theory has stimulated much research and treatments emphasizing the importance of physiological state and behavioral regulation. Dr. Tina Champagne is the Chief Executive Officer of Cutchins Programs for Children and Families, Inc., the owner of Champagne Conferences & Consultation, and a renowned national and international consultant. She is also a professor for American International College’s Post Professional Occupational Therapy (OT) Doctorate Program. Dr. Champagne is a licensed OT with specific expertise in trauma and attachment, sensory integration, a wide variety of therapeutic modalities, administration, and fostering organizational change. She consults with and provides trainings for a variety of mental health, professional, and educational organizations on state, national, and international scales. Dr. Champagne has numerous publications, including two books, numerous book chapters, continuing education and research articles, and is a reviewer for several OT and nursing journals. She has received numerous awards for her work, most recently being a Fellow of the American Occupational Therapy Association. Plenary Address: Developmental Trauma: Where Have We Been and Where Are We Going? Colleen Cameron Whiting, MS, OTR/L is a licensed occupational therapist who specializes in sensory processing for children 1-7 years old. She is the founder of SPARK Sensory Clinic, and has been working with children with sensory processing issues for 18 years. She is passionate about the integration of sensory and relational supports for children. As a clinician, she prides herself on being grounded in engagement with a focus on fun and the goal of improving the quality of life for the children she works with. She is Sensory Integration and Praxis Tests certified as well as DIR/Floortime certified. 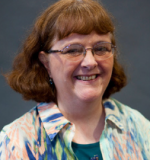 In addition to a multitude of advanced trainings on sensory integration theory and treatment, she has completed two mentorships with sensory integration pioneer Dr. Lucy Jane Miller. 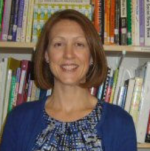 Colleen also teaches as one of the faculty for Dr. Miller’s center, the STAR Institute for Sensory Processing Disorder. She has published two research articles and developed programming around treatment for children with trauma. 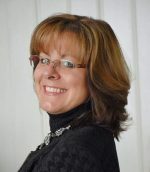 Colleen utilizes advanced clinical reasoning and planning in her treatment sessions to maximize effectiveness. Ms. Sawyer is the Clinical Director at OTA the Koomar Center and is responsible for overseeing all therapeutic activities. She has extensive clinical experience working with children and families. Sarah began her career in the United Kingdom working with children, adolescents and adults with Sensory Processing Dysfunction (SPD) across home, school and clinic-based settings. In 2003, Sarah was awarded the Elizabeth Casson Trust Scholarship from Oxford Brookes University in Oxford, UK, to attend Tufts University to complete her post-professional master’s degree. Her thesis focused on therapists’ clinical reasoning. Sarah has broad experience evaluating and working with individuals with SPD and has specialized training in Listening Therapies, Trauma, and Visual Vestibular difficulties. She has a particular interest in working with individuals on the Autism Spectrum and has specialized training in DIR® Floortime Approach. As well as overseeing the day-to-day running of the clinic, Sarah regularly trains and presents to educational facilities and other professionals in broadening understanding of SPD and Sensory Integration Therapy. Teresa May-Benson is the Executive Director of the Spiral Foundation and President/Owner of TMB Education, LLC and OTR, Inc. She is a well-known lecturer and researcher on sensory integration and the author of the Adult/Adolescent Sensory History (ASH), the GI Assessment and the Test of Ideational Praxis in addition to numerous articles and book chapters on praxis, ideation, and sensory integration. She has extensive experience with children and adults with autism and a diverse clinical background, having worked in private and public school settings as well as private practice. She is past Chairperson of the Sensory Integration Special Interest Section of the American Occupational Therapy Association. 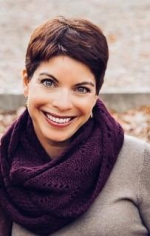 She is the recipient of the Virginia Scardinia Award of Excellence from AOTF, The Alice S. Bachman Award from Pediatric Therapy Network, and the Catherine Trombly Award from the Massachusetts Association of Occupational Therapy. Conference site is an accessible, barrier-free location. Reasonable accommodations can be made for individuals with visual and/or hearing impairments if needed. If you have special needs requests, please contact Rowen Gray at rgray@cutchins.org to arrange accommodations in advance for this event.